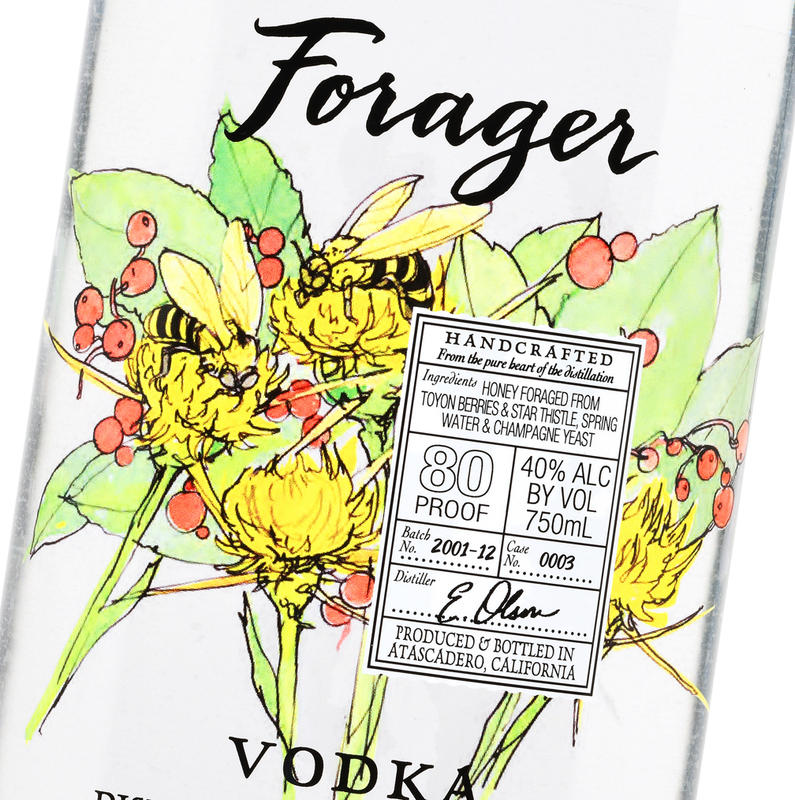 Forager is a craft distillery located on California’s Central Coast. 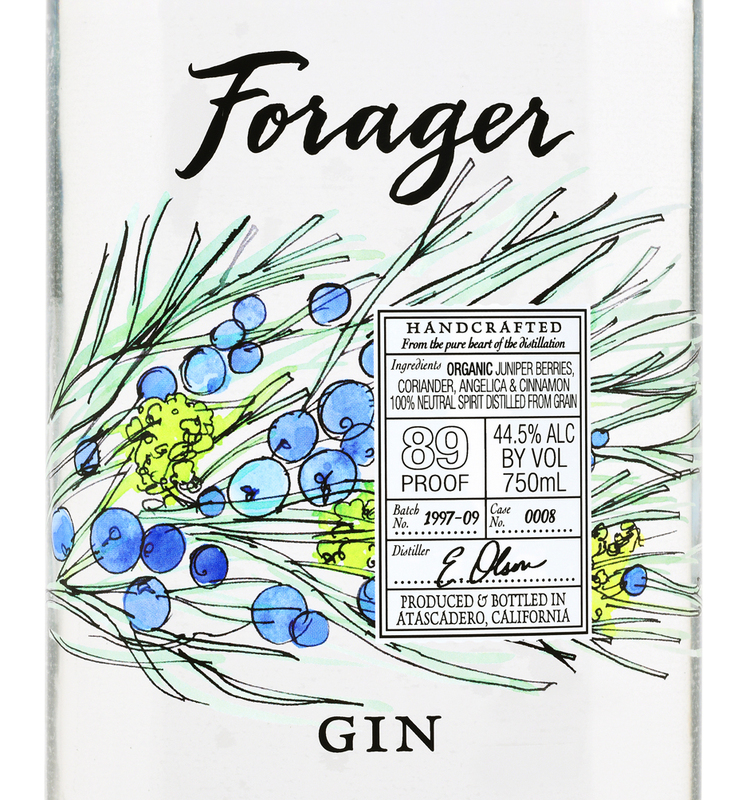 They hand-make single batch spirits using the “pure heart of the spirit”and select locally harvested fruits and grains and hand-gathered wild herbs as ingredients. 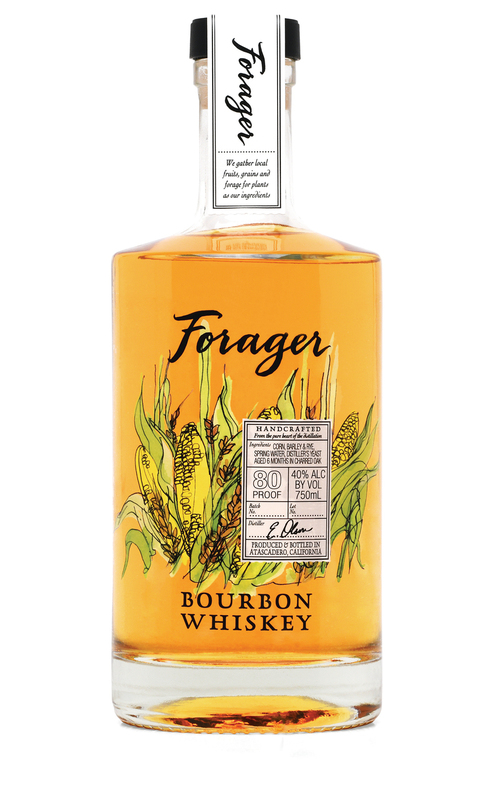 The design team researched the market, strategized product positioning, and proposed an abrupt departure from typical spirit label design to illuminate the brand’s unique qualities and capture attention. 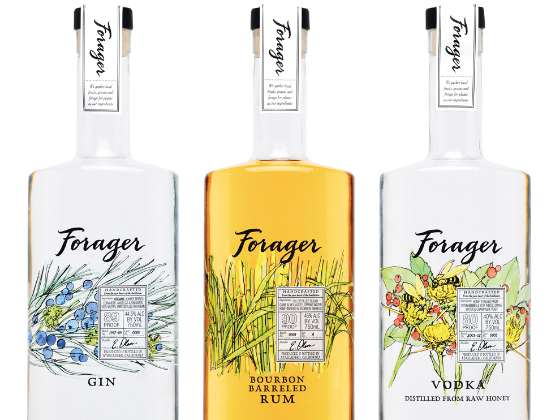 They commissioned colorful illustrations of plants used during distillation to tell the story of each spirit. 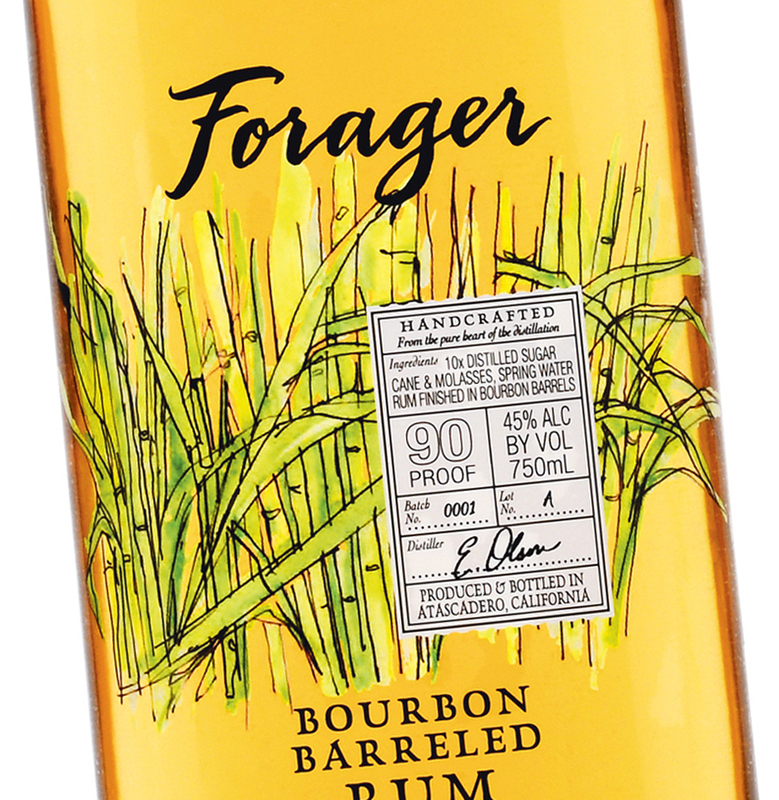 A “badge” on the clear front label of each designates the source of the ingredients and calls out the salient spirit details. 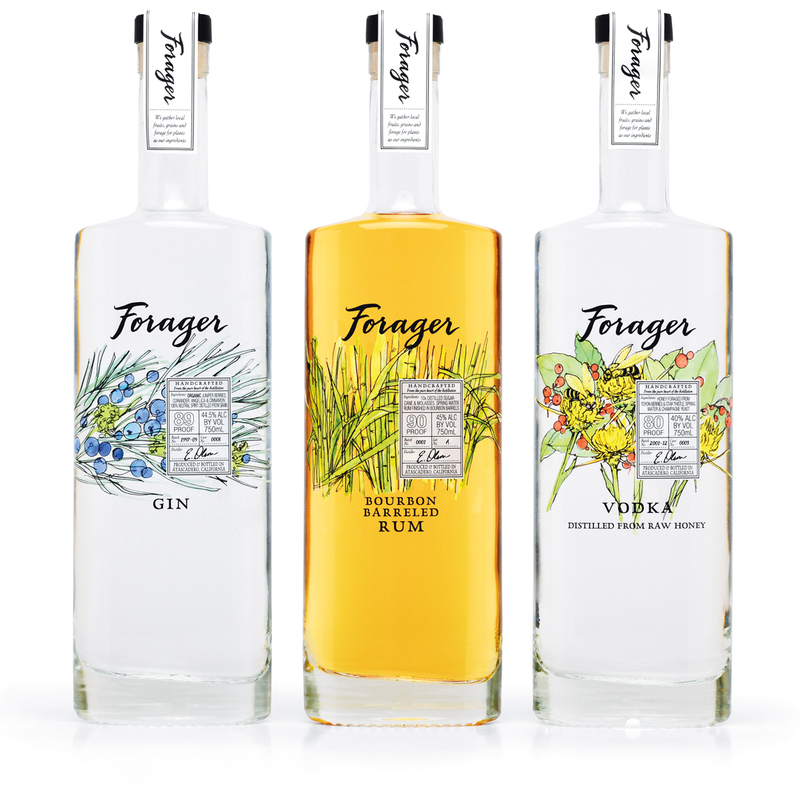 Use of illustration on a transparent hand applied digitally printed label was challenging. Sourcing the correct material that would adhere to glass without fingerprints or air bubbles was a great concern. The transparent nature of the label reinforced the beauty and elegance of the illustration and finding the right material was key. Budget was very tight and we had to be very creative in sourcing unique bottle glass and printing solutions. Giving the new product line a custom and fresh positioning in the marketplace.